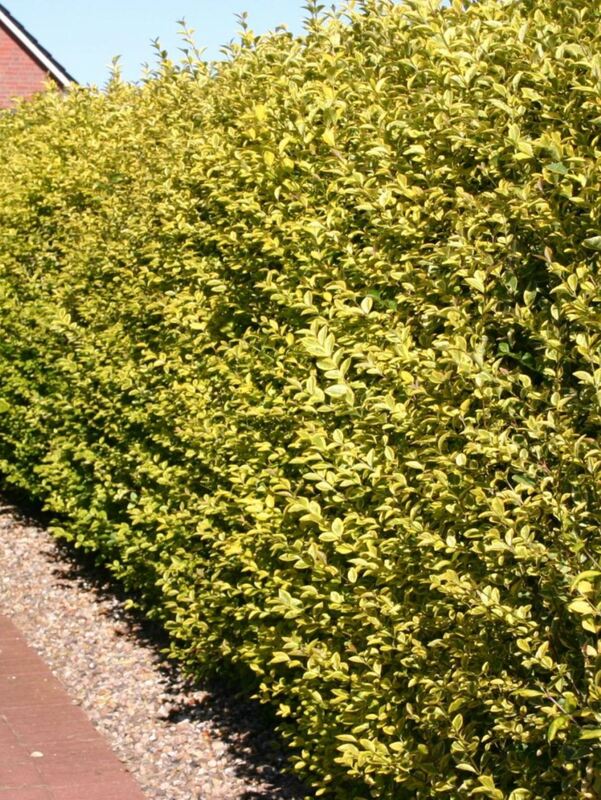 Golden Variegated Privet - Semi-evergreen edging plant with glossy golden edged leaves. Ligustrum ovalifolium Aureum (Golden Privet) is a semi-evergreen edging plant with glossy golden edged leaves. Produces clusters of small creamy white flowers in summer. Not as vigorous as green privet. Plant a single row, 4 plants to the metre. For a thicker hedge, plant a staggered double row, 6 plants to the metre.